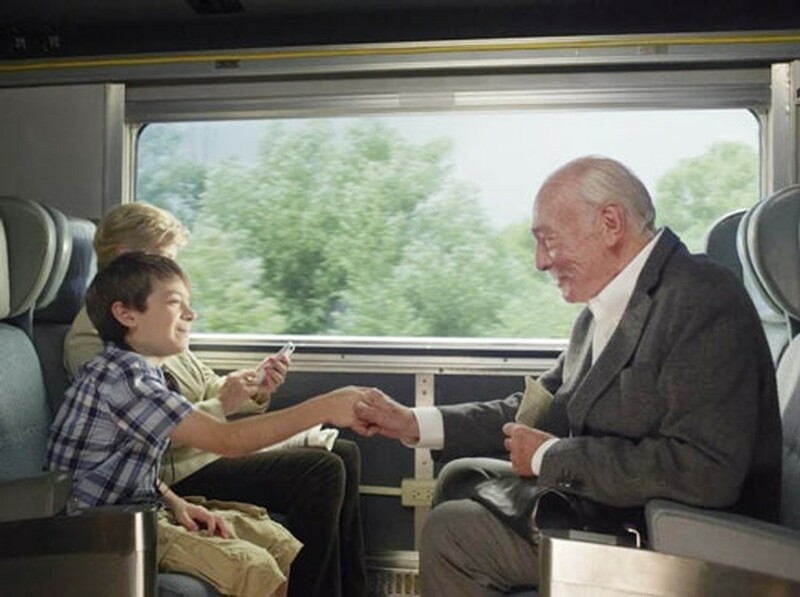 “Remember”, a 2015 Canadian-German drama thriller film directed by Atom Egoyan won the “Best Feature Length Film” title at the 4th Hanoi International Film Festival (HANIF) which ended in the capital on November 5. The movie also scored the “Best actor” award for Christopher Plumme in the lead role in “Remember”. The film won the Award for Best Original Screenplay at the 4th Canadian Screen Awards 2016 and the Vittorio Veneto Film Festival Award at Venice Film Festival 2015. The comedy movie Trung so (Jackpot) directed by Vietnamese-American Dustin Nguyen won the “People’s Choice Award for Feature Length Film”. 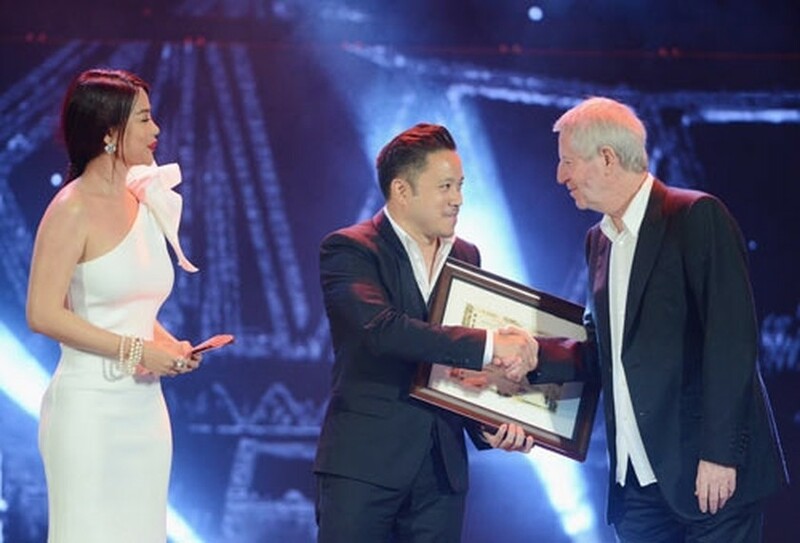 The “ People’s Choice Award for contemporary Vietnamese films.” belonged to the film “Taxi, what’s your name” by director Do Duc Thinh and Dinh Tuan Vu. "Toi thay hoa vang tren co xanh” (I see yellow flowers on the green grass) directed by Vietnamese American Victor Vu got “The Special Jury Award For Feature Length Film” title. The film “Heart of the land” of director Kaisa Astikainen of Finland recived the “Jury prize for Short film”; “Best Short Film prize” wen to Mexican film “Three variations of Ofelia” of director Paulo Riqué; NETPAC’s Award belonged to Russian movie “The green carriage” by director Oleg Asadulin. The film “One way trip” of South Korean director : Choi Jeong-yeol took The Jury prize for Feature-length film. 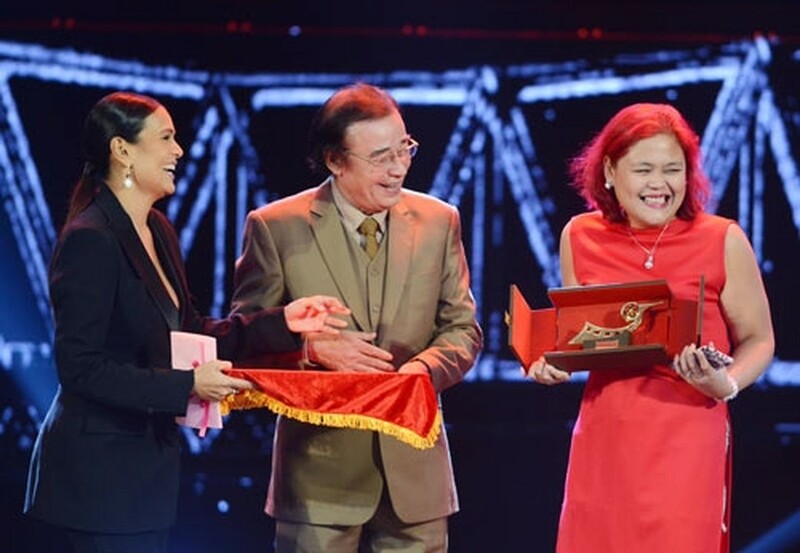 The organization board also presented the “Best leading actress” award to Hasmine Killip and “Best Director of Feature-length film prize” to Eduardo Roy Jr. of the film “Ordinary people” of the Philippines; and “Best young director (under 30 years of age) of short film” to Pham Ngoc Lan. 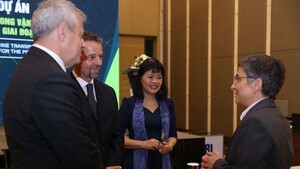 This year’s event themed “Cinema - Integration and Sustainable Development,” the 4th HANIFF was a venue for the celebration and betterment of both Vietnamese and international cinema as well as giving a chance for local and foreign film makers to meet, exchange experiences and thoughts with each other. There were a series of activities, Competitions; Panorama: Presenting Renowned Films of the World; Country in Focus: Indian Cinema; Selection of ASEAN Films; Selection of Italian Films; Selection of Films From Member Countries of TPP (Trans Pacific Partnership); Selection of Contemporary Vietnamese Films; Film Market; and Seminars on cooperation of production of films that will be held during the film fest. 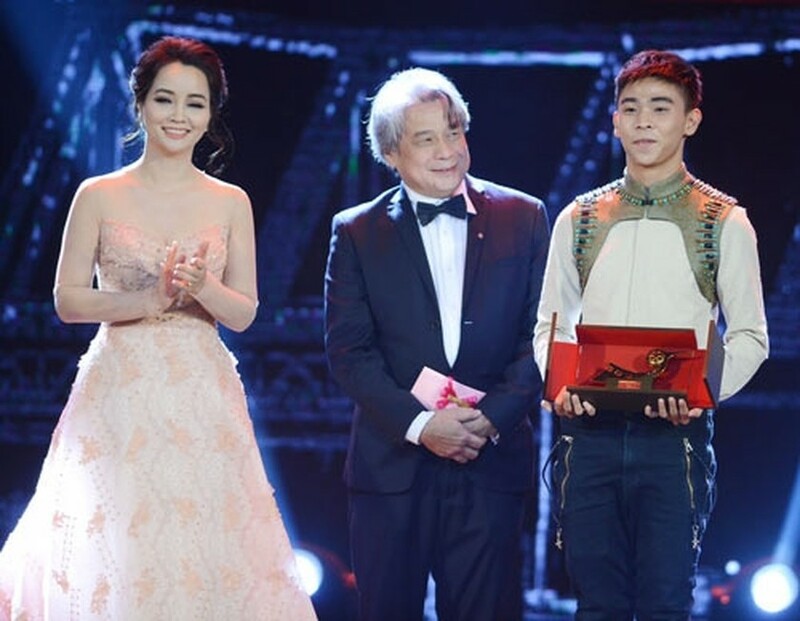 Pham Ngoc Lan (R) receives the “Best young director (under 30 years of age) of short film” prize. Toi thay hoa vang tren co xanh (I see yellow flowers on the green grass) directed by Vietnamese American Victor Vu got The Special Jury Award For Feature Length Film title. The organization board presents the “Best leading actress” award to Hasmine Killip.